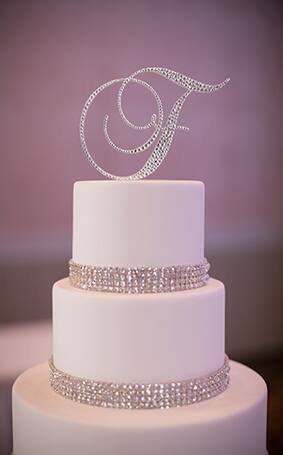 Do you love a traditional white wedding cake but want just a touch of bling to enhance your exquisite pastry? If so, today's Wedding Cake Wednesday is definitely for you! 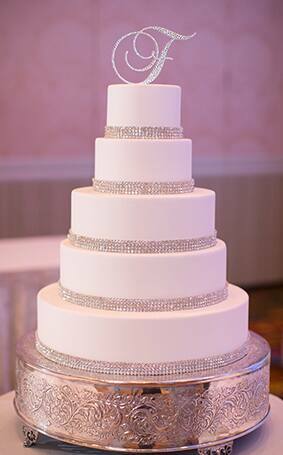 This gorgeously simple cake accented with chic rhinestone ribbon first made its appearance at our 2014 Disney's Fairy Tale Weddings Showcase- and it perfectly ties traditional and sparkle all into one.